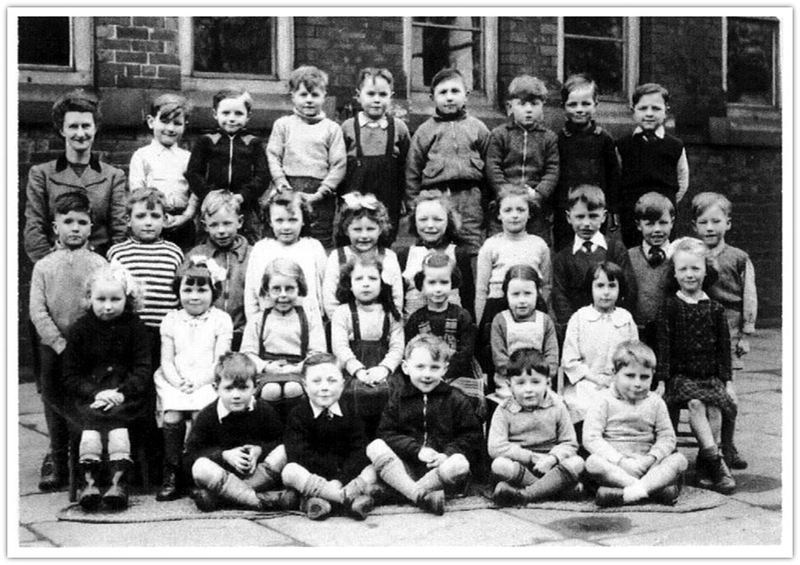 I found your website on a Google search and found a photo of myself age about 6 or 7 at the old Bickershaw C of E primary school. The problem is that my computer went on the blink and I can’t find the photo again. On or near the photo was another photo of American GIs playing Baseball on Bickershaw cricket ground. I can’t find that one either. If you could possibly give me a link to these photos, I would be very appreciative. I have found the photograph, on another website, following a search and I enclose a copy, should it be of interest to any of your own website viewers. re: Lizzie Podger and search for Monaghan family. I am the grandson of Thomas Monaghan, killed in Bickershaw pit, and am more than happy for you to forward my E-mail address to her. I am writing to you to ask if it is possible to put me in touch with anyone from the Monaghan family - related to Thomas Monaghan who died tragically at Bickershaw in 1942. My father, Rev Fred Harrison - son of coal miner: Fred Harrison who was pit prop man at Parsonage - remembers the Monaghan family with great affection and would like to get in touch with any of the 6 brothers and sisters who may still be alive, or their children. Dad is 88 now and we were looking at some areas of Leigh that he remembers on the internet. I googled the Monaghan name and your website came up. I’m trying to find out if there is any information regarding Albert Prescott B.1917 who lost an arm in a mining accident around 10.10.1932, he was in his twenties. I’ve hunted and hunted the internet but to no avail. I’m presuming it was Bickershaw as he lived in the area. Can you help or put me in the right direction please? Have you looked on the Ancestry site? You do not say what your relationship is, if any. If the accident happened in 1932 as you state, and he was born in 1917 he was only 15 years old, not in his twenties. It is possible that he received some compensation from the Colliery Co for the loss of an arm (or his mother would possibly, as he was not an adult, or if she was a widow). It would not have been a lot, as it was a matter of course at that time for the person to prove negligence of the Company. The Co would try to put the blame on him by stating that he should not have been doing what he was doing when the accident happened. Assuming he lived in Bickershaw he could have worked at several of the collieries around. The Bickershaw Collieries Ltd owned Abram pits at Bickershaw and Bickershaw pits at Leigh. Albert, Maypole and Wigan Junction pits are nearby Bickershaw. If he had continued to work at the pit following his accident the Company more than likely would have offered him a generally poorly paid job on the pit top, possible on the screens sorting dirt from coal on a plate conveyor. There was no retiring age at the pits until 1960 when all men aged 65 and over were compulsorily retired. If he had worked until 1960 he would have been 43 years old and not eligible. He could have been made redundant at any time in 1976 to 1979 when the retirement age for miners came down on a sliding scale from 63 to 60 years old by August 1979. Of course he could have left the industry at any time after his accident.......? A likely source of information is at the Archive centre of the area, (contact them), where the Colliery accident books are kept, providing they have been deposited of course. Mainly the accidents are fatalities, but such an accident could be mentioned. The companies sometimes had different books for deaths and one for other accidents, as are found in other areas of the country. Another possible source is a mention in the local newspapers around that area. Libraries sometimes have them. Contact them. Providing you can get a library card and code number it is possible to find these newspapers on the Internet for dates around 10.10.1932, the date you quote. Trusting this may help you with your research. My father Thomas Monaghan was the assistant manager at Bickershaw Collieries during 1941 he was just 41 years old. During 1942 (I think) he was called out to an explosion down the pit where some miners had already died.Unfortunately whilst down there organising matters he with others were also killed. Mother was left with 6 children (all of whom are still alive including myself aged 74. Mother was never really able to discuss the details of the accident and to save her further grief we never pursued the details. I can not find any details of the actual accident on your interesting web site but would greatly appreciate any details of newspaper cuttings or reports of the accident.Many thanks in anticipation of your assistance. I was only 4 years old at the time and remember very little if any thing apart from great sadness for many years for our dear Mum. Bickershaw, Plank Lane. Leigh, Lancashire. 7th January 1942. Major Hart was the managing director of the Bickershaw Collieries, Ltd., which consisted of five pits. Household and industrial coal were produced from the various seams Fireclay and shale was also worked. 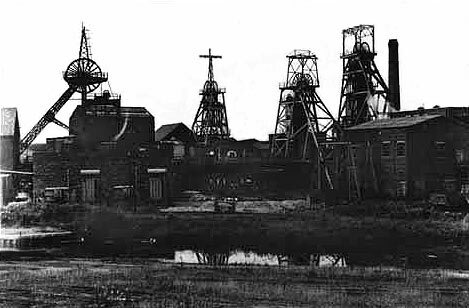 Six men were killed and four injured, three detained in hospital, as the result of an explosion at the No 4 pit, Plank Lane Colliery, Leigh, shortly before midnight on Monday. The cause of the explosion was thought to have been a 'blowout' of gas near where the men were working. A survivor told how suspicions that all was not well arose amongst a party of men, and of his subsequent struggle to a place where the air was fresher. The accident which occurred in the Rise Unit, east side of No. 4 pit, just as the night shift men were taking over and quickly spread through the district. It was stated that it was probably due to an explosion of coaldust or: what is called a blowout of gas where the men were working. Only 90 men were down the pit at the time and were going to their places in small groups. These were quickly brought to the surface and members of the Lancashire Mines Rescue Station at Boothstown were summoned and recovered the bodies. The managing director of the colliery, Major E Hart, M.C., and the general manager, Mr. JH French both hurried to the pit when informed of the accident, and descended the mine. A survivor, named Neville, interviewed by a the local paper, said that Monday was the first time he had been to work for a fortnight after sustaining a sprained back. He told how he, Bailey, Houghton, Kennedy, and two other men named Hagen and Eatock, were seated in the main haulage way, about 180 yards from the pit bottom, waiting for the haulage to start to enable them to take tubs to the workings. One of the men remarked about the atmosphere, and said, 'Jimmy, there's summat funny.' He replied that it was only dust, and might have been caused by a fall of dirt or something like that. Neville said he did not hear the sound of an explosion. He did not know that any of the men were in hospital, and when it was revealed to him that Kennedy and Houghton were detained in the infirmary he was surprised and said, 'They were two of my mates. I am sorry to hear that'. Thomas W. Monaghan aged 41 night manager, Sherwood House, Crankwood Road. Abram. John Dykes age 38, safety officer, 115, Plank Lane, Leigh. James Durkin aged 55, dataller, 38, Byrom Streets, Poolstock. Wigan. Thomas Kennedy aged 21, 52, Hulme Road, off Wigan Road, Leigh. James Neville aged 49, 34, Victoria Terrace, Bickershaw. Allowed to go home after treatment. Thomas Monaghan left a widdow and 6 children. John Dykes left a widow and three children. Ernest Huyton a widow. Monday night was the first time he had been to work for three days. It was his birthday. Both John and Ernest were members of the Colliery Home Guard. This was the second pit explosion within a week, the first in which fifty seven men lost their lives being at Sneyd Colliery, Burslem Staffordshire on New Year's Day. In April, 1934, four men and a boy lost their lives through an explosion caused by shotfiring at No.3 pit of the Bickershaw Collieries. Two years earlier nineteen men lost their lives through a shaft accident at the same pit when on October 10th 1932, a cage hurtled to the bottom of the pit and the men were drowned.